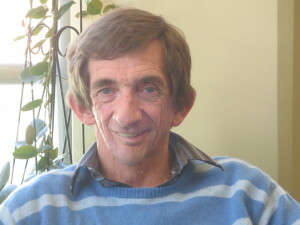 Robin has mentored over 1000 teenagers from a variety of socio-economic backgrounds. He has developed proven strategies to encourage teenagers to become the best they can be. 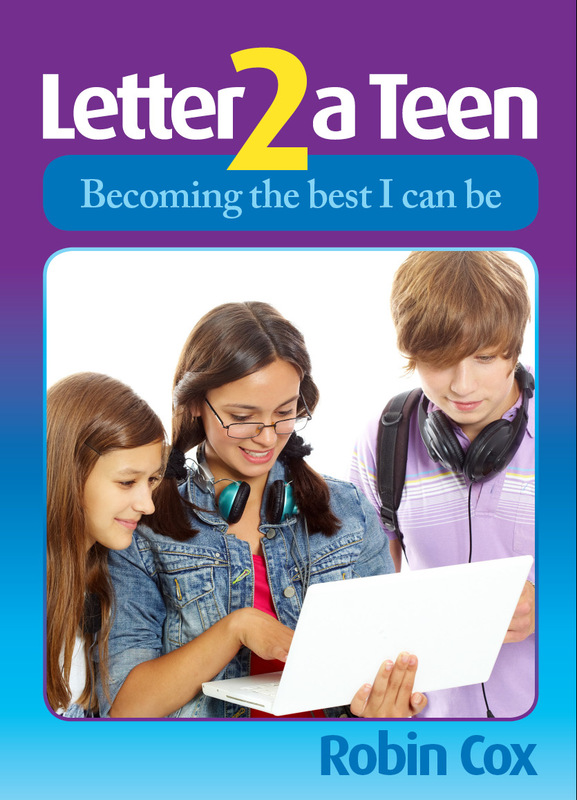 Letter 2 a Teen is a user-friendly book that a teenager can use as a personal, self-empowering Journal as he or she journeys through adolescence to becoming a young adult. All teenagers who have read the book and commented on it, have stated that it has been a help and encouragement to them and a useful reference point as they deal with teenage issues. This motivational and inspirational book for adolescents has many practical activities and tips, which every parent, youth worker and teacher should read. It’s a great resource for mentors to go through with adolescent mentees. 2017 Edition now available! A Manual for Adult Volunteers, is used as a Resource book for the YES! Mentor Training Program. It has pages and pages of tips for anyone mentoring adolescents – goal setting, communication, resiliency, resolving conflicts, self-image issues and lots more. User-friendly and with tips and ideas that support the latest adolescent brain research. 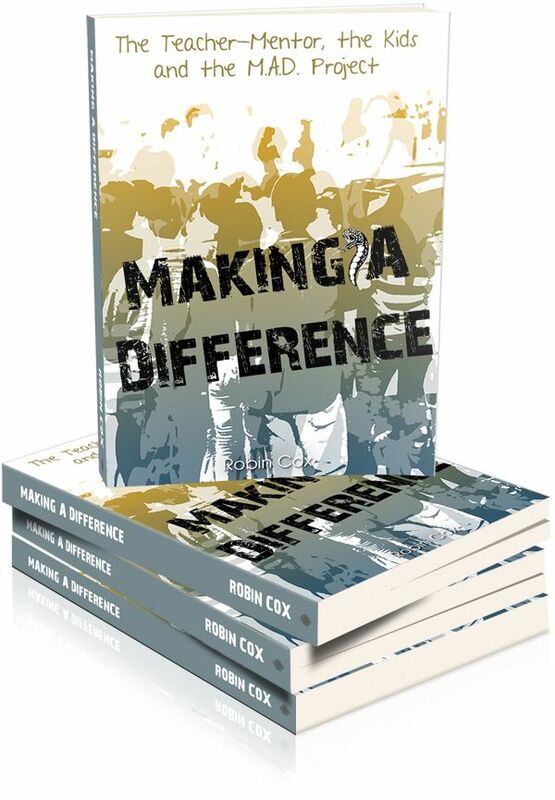 Making A Difference, by Robin Cox is an inspirational story, set in New Zealand, of a diverse group of teens who with the help of their mentor become agents of change for their neighborhood. This novel also portrays the power of the spirit of mentoring for anyone wanting to mentor adolescents. “Is it a true story – so real! ?” a reader asks. To motivate, inspire and encourage young people (with a particular focus on ages 13 to 19) to become the best they can be. Affirming and encouraging the ‘Spirit of Mentoring’; with an outcome where young people are guided and equipped to become the best they can be within the context of a safe, supportive and secure environment. The Mentoring Matters and Youth Empowerment Seminars (YESS!) material has been developed in line with the findings of international and Australasian research about young people, including some of the most recent adolescent brain research. 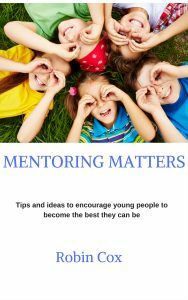 RECEIVE YOUR FREE COPY OF ROBIN’S eBOOK, MENTORING MATTERS – TIPS AND IDEAS TO ENCOURAGE YOUNG PEOPLE TO BECOME THE BEST THEY CAN BE, BY ENTERING YOUR EMAIL ADDRESS AND PRESSING THE ‘SUBSCRIBE’ BUTTON AT THE TOP OF THE PAGE. THIS WILL ONLY WORK IF YOU SUBSCRIBE ON A DESKTOP OR LAPTOP (NOT A MOBILE PHONE). YOU CAN ALSO RECEIVE A FREE COPY OF ROBIN’S 2018 RESEARCH ADVOCATING THE IMPORTANCE OF A VERTICAL TUTORING (MIXED AGE) SYSTEM in SECONDARY/HIGH SCHOOLS: THE 21st CENTURY EDUCATION REVOLUTION – AN EDUCATION FOR LIFE. Placing the family at the heart of the holistic learning journey: Building authentic, effective and meaningful relationships; Building caring communities; Creating the most effective conditions for learning and the support of teachers, students and their families. IN THE 1980s ROBIN COX BEGAN YOUTH EMPOWERMENT SEMINARS (YES!). IN 2017 YES! EVOLVED TO MENTORING MATTERS WHILE KEEPING THE CORE FOCUS OF YOUTH EMPOWERMENT – NOW A TRUSTED ONE STOP SITE WHERE YOU CAN LEARN PROVEN STRATEGIES ABOUT CREATING A YOUTH MENTORING PROGRAM, LEARN MORE ABOUT EFFECTIVE MENTOR TRAINING, UNDERSTAND THE HIGHLY SUCCESSFUL GR8 Mates YOUTH MENTORING SCHOOL-BASED PROGRAM, GATHER MANY TRIED AND TESTED TIPS TO PROMOTE THE SPIRIT OF MENTORING, FIND PROVEN TRIED AND TESTED RESOURCES PUT TOGETHER AFTER YEARS OF RESEARCH, RECEIVE ROBIN’S FREE 260 MENTORING MINUTES PODCAST EPISODES AND EXPLORE INFORMATION ABOUT SOME LEADING GLOBAL MENTORING ORGANISATIONS. CONTACT ROBIN COX IF YOU REQUIRE ANY FURTHER INFORMATION. They need to feel safe and secure. The more they are cared for, the more secure they feel. They need to be surrounded by people who care for, appreciate and accept them unconditionally. They need the positive influences of peers and adults to encourage them to do their best. They need to be encouraged to appreciate that they are more likely to become the best they can be when there are clear rules or boundaries in place (some of which can be negotiated). When they step over these boundaries there will be reasonable consequences. The more they are valued the more positive self-worth they experience. They need to be encouraged to feel they have some control over things that happen to them. Empowering them will be proof that they are valued, respected, liked and are regarded as valuable resources. They need fun time to interact with peers and adults, which involves the development of social skills. The more they understand that there is a reason for their existence, the more significant they will feel. They need encouragement to explore opportunities within and outside of school to learn and develop new skills and interests. They are encouraged to acquire a commitment to learning: academic success and the long-term value of learning will enhance their self-worth as they discover their gifts and talents. They need to appreciate and understand how to make the tough decisions and choices; how to cope with new situations. They need guidance to develop a positive view of the future. Mentors, the wise guides who voluntarily move alongside our young people and become great, trusted friends.